Children of all ages can present with a variety of behavior problems. From severe temper tantrums, to defiance, or noncompliance with school or house rules, these problems can lead to highly negative and conflict ridden environments at home or school. There are sometimes underlying causes to behavior problems such as depression, anxiety, or ADHD, though this may not always be the case. Some children may appear more temperamentally inclined toward oppositional or argumentative behaviors. It may be that a child or teen may have learned that they are reinforced for their defiance or lack of cooperation by being able to avoid tasks they do not like. Some children also have a thinking style that tends to be more black and white in nature and this rigidity causes difficulty for them in being flexible or cooperating. This type of thinking can worsen when they become upset, angry, or frustrated. A child or teen may have trouble with anger management for a variety of reasons. There may be underlying causes such as depression or stressful life situations. In other cases, there may appear to be no logical reason behind extreme mood shifts or explosive outbursts. 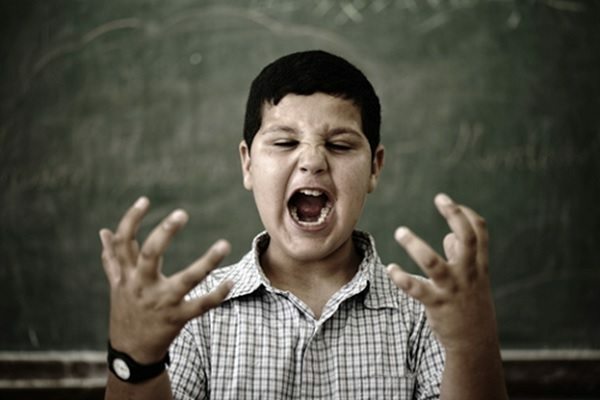 Some children and adolescents have greater difficulty controlling and managing their anger. They may quickly become “flooded” with emotion and have difficulty making good choices when this happens. Anger management counseling typically involves helping a child identify triggers that lead to anger outbursts and utilizes strategies such as thought restructuring, physical relaxation response training, and conflict resolution strategies to help reduce the intensity of moods and make better choices. Children who exhibit patterns of defiance, rule-breaking, and destructive behaviors are at risk and may need parental involvement and treatment to avoid more serious behavioral and psychological problems. Oppositional Defiant Disorder consists of a pattern of defiance and noncompliance to rules, expectations, and directions that often occurs at home and in the school. A child or teen with this diagnosis may be more argumentative, disrespectful, and engage in more rule breaking behaviors than other children. The child or teen may be more irritable, lose their temper, cause trouble with others, and exhibit other behavioral problems. These behaviors can be extremely difficult and frustrating for parents to manage as well as create difficulties in school often leading to alternative class or school placements. Disruptive Mood Dysregulation Disorder is a new diagnosis added by the American Psychiatric Association in recent years. The diagnosis addresses the oppositional and argumentative behaviors that are the core of Oppositional Defiant Disorder while additionally includes the explosive, aggressive, and destructive behaviors that some children and adolescents exhibit. This diagnosis also includes chronic irritability and agitation as a component of this presentation. Individual counseling, family counseling, and group therapy can address some of the problems associated with behavioral difficulties and defiance. Depending on the nature of the behaviors, one type of counseling may be more appropriate than others. Individual therapy can help the child in identifying triggers behind their behavior problems as well as work to increase motivation to cooperate with others. Therapy with these issues will also involve the family to work on effective behavioral management strategies and parenting strategies to reduce negative acting out behaviors and increase compliance. Pathways Psychology Services offers counseling for child behavior problems in Naperville, Wheaton, Glen Ellyn, Aurora, Oswego, Geneva, Winfield, Carol Stream, West Chicago, Bartlett, Downers Grove, Plainfield, and surrounding IL communities.